Customer Picture Number 144 Selected. Cool Car decals applied. 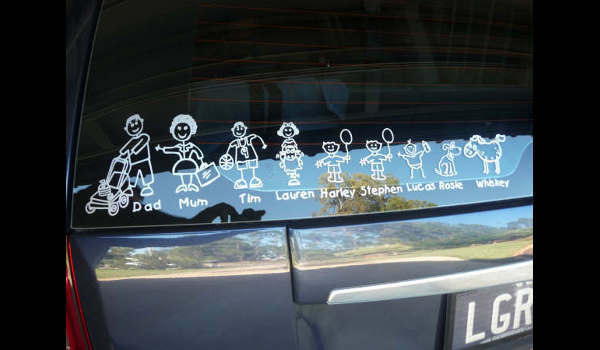 Family stickers can be made to fit your family. This family sticker fits great on the botom left of the window. Thanks GEOFF!